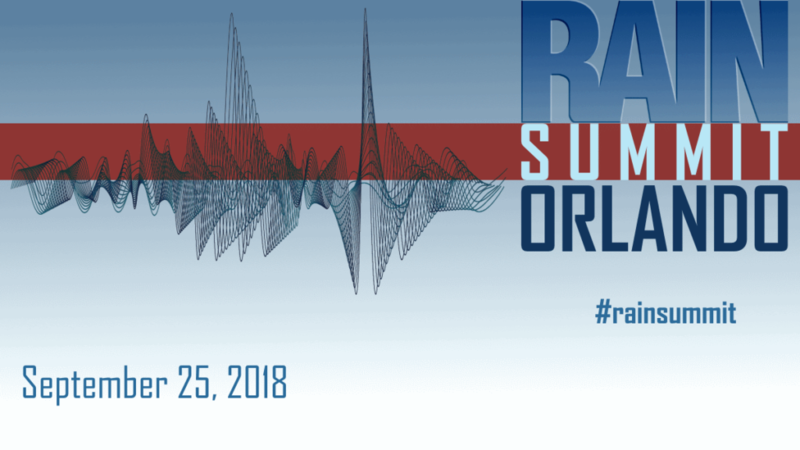 RAIN Summit Orlando was staged yesterday at the Hilton Bonnett Creek resort outside of Orlando, in association with the NAB/RAB Radio Show. Two-hundred attendees packed RAIN’s venue within the expansive conference hotel to hear the latest thought leadership in radio streaming, podcasting, research, ad technology, and other aspects of digital and online audio. Hosted by Brad Hill and Kurt Hanson, president and founder of RAIN respectively, the five-hour business conference moved briskly through three slide presentations, four discussion panels, and a keynote interview with Brad Mielke, host of the START HERE morning news podcast from ABC Audio. Industry leaders from commercial radio groups, top technology companies service the streaming audio infrastructure, consultancies, and advertising agencies were featured speakers. In a startling and illuminating “Gen Z Panel,” four students from the University of Central Florida answered a broad array of queries about what they listen to, how they listen, where and when they listen, and the reasons behind their choices. Revealingly, all four roundly rejected AM/FM radio listening on any platform, causing loud reactions in the audience. Just as firmly, and more surprisingly, the 18-22-year-old students expressed no interest in podcasts. Each subscribed to at least one music service, and the group was firmly committed to the on-demand music experience. DAX U.S. CEO and veteran RAIN speaker Matt Cutair led a discussion of programmatic, reflecting on 2018 as a milestone year for highly targeted and automated digital audio buying, with participants from across a spectrum of companies in that space — Jelli, Rubicon Project, Pandora, and WideOrbit. 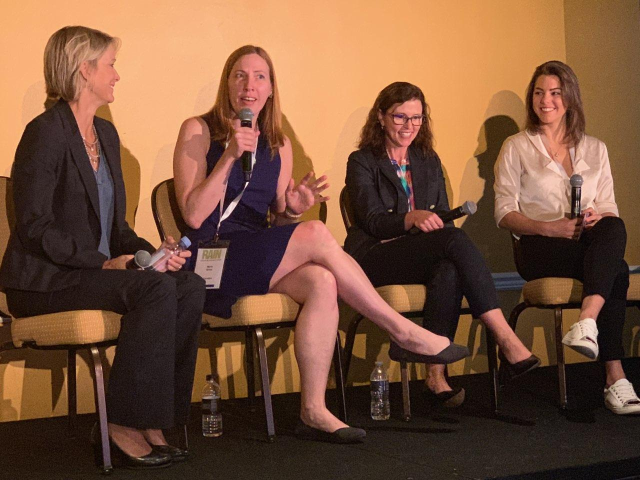 Edison Research Vice President Megan Lazovick, who earlier this year was honored as a “Top Women In Digital For 2018” by Cynopsis, delivered a though-love mission statement to broadcast radio called “Radio’s Hardware Problem: How does radio compete if consumers don’t have radios?” The multimedia screen presentation was finely produced, but upstaged by Lazovick’s impassioned advocacy of radio’s need to prepare for a future in which consumer behavior, and the devices consumer us for audio, will be even more drastically changed than it already is. Marsha Fischer, who joined ad tech company AdsWizz earlier this year, took the stage for a wide-ranging presentation called “Future Trends in Audio Buying.” It featured case studies of actual digital audio campaigns using new advertising technologies. Highly reputed radio consultant Paul Jacobs moderated a let’s-get-real discussion of how AM/FM can become more digitally enabled, on both the content and revenue sides. He panelists were executives from iHeartMedia, Entercom, Beasley Broadcasting Group, and Alpha Media. Podcasting was represented not only by the Brad Mielke interview, but in a panel talk led by John Rosso of Triton Digital. Panel speakers intersected from different angles in the podcast ecosystem — speakers represented Amplifi Media, Beasley, Westwood One, and Gabe Hobbs Media. RAIN’s next event, the inaugural RAIN Summit Canada, is on October 10 at the Glenn Gould Studio in Toronto. It features and extraordinary lineup of speakers and content, with many first-time thought-leaders on the RAIN stage. See the agenda HERE.